WWH reopened this facility on April 28, 2017, as a result of the WWH v. Hellerstedt Supreme Court decision. 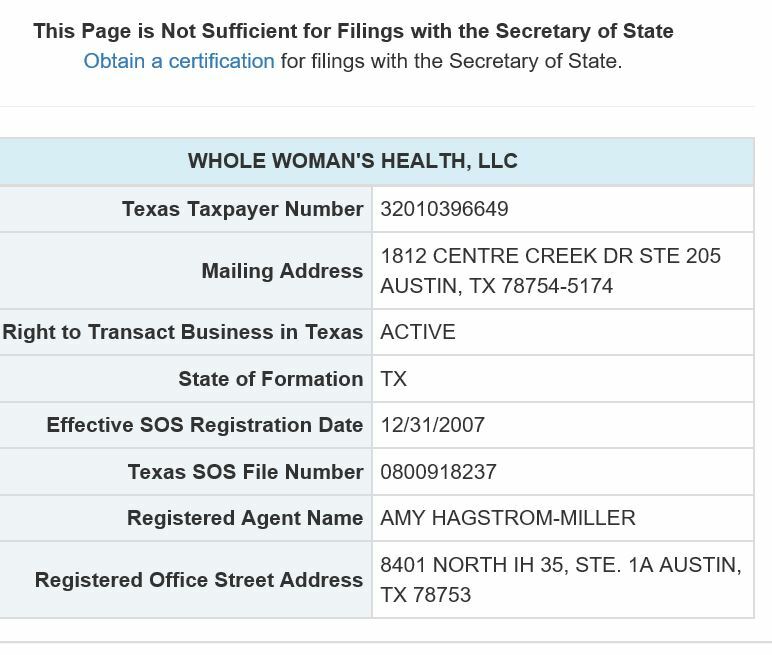 TX corporation registration for Whole Woman's Health, LLC. Registered agent is Amy Hagstrom-Miller. TX corporation listing for affiliates of Whole Woman's Health, LLC. Includes branches in Austin, Beaumont, Fort Worth, McAllen, and San Antionio. July 24, 2017: Texas Health Dept Inspection -- Statement of deficiencies & plan of correction. A 34-year old female was rushed to North Austin Hospital with life-threatening condition. Paramedics responding to the 911 call upgraded the patient’s priority upon assessment of her condition. The woman was breathing and conscious, but not alert, and was suffering abdominal pain and vomiting. A sick and vomiting 22-year old female patient was transported to St. David’s Hospital. 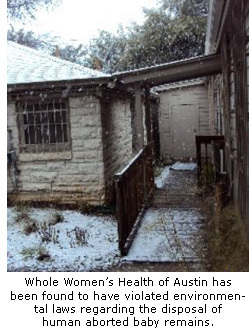 Operation Rescue's Special Report on Texas Abortion Abuses in PDF format.